We’d love your help. Let us know what’s wrong with this preview of The Book of the Courtier by Baldassare Castiglione. To ask other readers questions about The Book of the Courtier, please sign up. How can I find this book? Is there anyone's advice ? Lucia Sofia Abonandi One of my best readings! A way to explore history through details and 'good manners'. When I opened this book today to attempt to review it, a bookmark fell out. It isn't a real bookmark but simply a leaflet I picked up in a gallery when I was in Northern Italy last September. Reviewing the book now feels like finally closing the chapter on that trip. I had set out for Italy with three books in my bag, one of which was this one. Although it is three months since I returned home, and although the other two books have been finished and reviewed months ago, this book has hung on, if When I opened this book today to attempt to review it, a bookmark fell out. It isn't a real bookmark but simply a leaflet I picked up in a gallery when I was in Northern Italy last September. Reviewing the book now feels like finally closing the chapter on that trip. I had set out for Italy with three books in my bag, one of which was this one. Although it is three months since I returned home, and although the other two books have been finished and reviewed months ago, this book has hung on, if not to my attention, at least to its place on my reading pile — though fifteen further books were finished in the meantime. And so, as the December evenings got longer and darker, I forced myself to return to the The Book of the Courtier and to the discussions by a group of Italian noblemen and women which Baldesar Castiglione has recorded in this book. The discussions took place over the course of four winter evenings in 1507, in the salon of the Duchess Elisabetta Montefeltro of Urbino on the occasion of a visit to the ducal palace by a group of dignitaries from Rome. What was interesting for me in this book, apart from the way it documents a particular moment in history, was the way it overlapped with other books I'd been reading, in particular Alison Cole's Italian Renaissance Courts which included sections on several of the people mentioned in Castiglione's book and which explained the relationship between the Montefeltros and the other noble families in fifteenth and sixteenth century Italy. The other main interest for me was the way the book echoed places I visited on my Italian trip. The bookmark I mentioned at the beginning was a leaflet I picked up when I visited the Galleria Nazionale delle Marche which is located in the Ducal Palace in Urbino where the conversations in this book took place. So there I was, moving from one sumptuous room of the palace to another, viewing the art treasures in the Marche collection, when, around a corner and across a little corridor, I found myself entering the room that had belonged to Elisabetta, Duchess of Montefeltro. This was the salon in which the discussion of the ideal courtier took place more than 500 years ago. As I had read a third of the book at that stage, I was quite thrilled to be there. The focus of the room today is Raphael's 'La Muta' which is thought to be a representation of one of the Montefeltro noblewomen. La Muta means the silent one — which fits well with the role of the women in this book. Speeches by women take up about 5 pages out of 350, and they are very short and always to the point. The rest of the book is taken up with long and involved speeches by men. A further echo of my trip lies in Castiglione's introduction to the final section of the book. He mentions that although almost all of the people present in the discussions were dead by the time he published this account in 1528, the new Duke of Montefeltro, Francesco della Rovere, was still living. Francesco was only seventeen in 1507 but he was nevertheless present at the discussions in Elisabetta's salon. 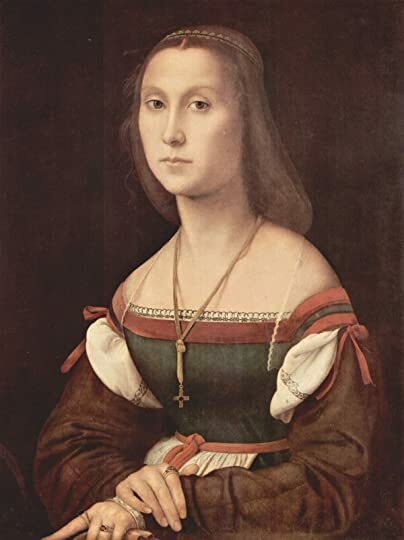 He later married her niece, Eleanora Gonzaga of Mantua, who became Duchess of Urbino. 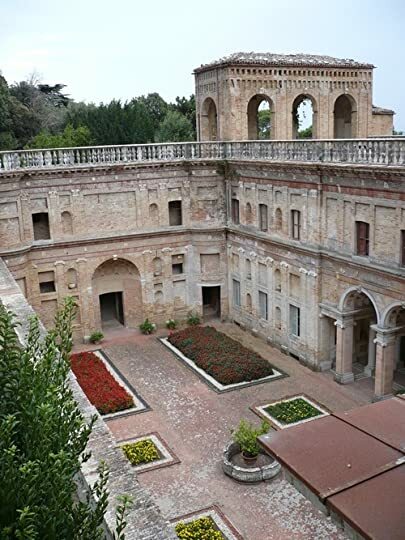 The day before I travelled to Urbino, I visited the Villa Imperiale in Pesaro — the elaborate summer residence that Francesco built for Eleanora. I didn't fully understand how significant that visit was until I came across the reference to Francesco and Eleanora in Castiglione's book. It was convergences like this that made reading this book memorable for me. I think what I found interesting about this is the parallelism between today and later; ideals and mistakes and the desire for perfection. Through his set of Renaissance-era conversations in Book of the Courtier, Castiglione suggests an ideal - the one way to be a man, the one way to be a woman, imitation of man after man after man. It is perhaps important to view Courtier as a work of its time; while Castiglione may likely share ideals with the participants, this is not only about the qualities of a perfect court, but about the priorities of men & women in the world they live within. A perfect Duke must exhibit perfect duality of strength and humanity, and demonstrate it perfectly in both situations, in other words, the balance of sprezzatura. This expresses the Renaissance ideal of perfect duality: it is not good to be talented at one thing, and rather, we must all be talented in many areas. This stands as a contrast to Western culture today. While some level, we in Western culture are expected to exhibit perfection in many areas at once - for example, people are generally expected to be fairly beautiful and charismatic to be well-liked - many among our culture recieve popularity and success via only one talent. In the Renaissance, it was considered important to be all things, and flaws were not forgiven; in the US, we regularly elect politicians who are widely known to be somewhat rude. In this world, mistakes are not an accepted part of life; they are life-destroyers, leaving your name defiled forever. This, in contrast to the first point, does parallel Western culture. Recent political discourse in our culture especially has often focused on the growth of “callout culture;” the idea of calling out “problematic” - racist, sexist, homophobic, or just plain awful - things that celebrities do. This culture definitely has good results: when used correctly, it can take away from the normalization of homophobic and racist comments in our culture. But it can lead to a culture, especially on social media, of publicly shaming people for minor actions; expressing political viewpoints that may be liberal, but are not liberal enough. This can lead to people, especially minors, being afraid of behaving “badly” not because they care about the feelings of other people, but because they are afraid of public shaming - definite parallel. Another similarity comes in the idea that women may be stained more easily than men; the idea of calling out celebrities often seems to apply to women far more than it does to men, and callouts often follow them for longer. But that's another topic. So while Renaissance society is not always the same as ours, it is often similar. And while I found this book itself rather boring, I find it interesting that the past is so like the present. This is a book for people without the stomach for Machiavelli. It's a nice window into early renaissance court life––it'll give you an idea about some of what Shakespeare's plays include, people like Henry VIII, etc. Is the read as pleasant as a bagful of kittens? No, not really. It's long, often tedious, and for those of you who have absolutely no interest in history, a root canal might be preferable. But you see, a guy...like...me (a freak)––who has an appreciation for politics and history––wo This is a book for people without the stomach for Machiavelli. It's a nice window into early renaissance court life––it'll give you an idea about some of what Shakespeare's plays include, people like Henry VIII, etc. Is the read as pleasant as a bagful of kittens? No, not really. It's long, often tedious, and for those of you who have absolutely no interest in history, a root canal might be preferable. But you see, a guy...like...me (a freak)––who has an appreciation for politics and history––won't be running up to people on the street and spouting theories on sprezzatura, but he'll probably enjoy some of it nonetheless. The theme of the book is pretty straightforward. What would the perfect courtier (a person who serves at court) look like? Argument ensues via a list of historical people who are fictionalized for the debate. 99% of the humor in this work is based off in-jokes from the 16th century. I'm not one of the cool kids, so that part was lost on me, but I did enjoy some of the more historical references and factual information about figures like Caesar and Alexander (who are used frequently in developing this perfect courtier). The first section discusses the qualities of the ideal courtier, and focuses on accomplishments such as dancing, fencing, etc. There is an extensive discussion of the types of humor, with many examples of jokes and tricks. The essence of humor is incongruence. The sections that follow spend quite a bit of time discussing the qualities of an excellent court lady. This leads to many debates about courtly and corporeal love, with extensive debate about whether a woman should be allowed as much righ The first section discusses the qualities of the ideal courtier, and focuses on accomplishments such as dancing, fencing, etc. There is an extensive discussion of the types of humor, with many examples of jokes and tricks. The essence of humor is incongruence. The sections that follow spend quite a bit of time discussing the qualities of an excellent court lady. This leads to many debates about courtly and corporeal love, with extensive debate about whether a woman should be allowed as much right to conduct love affairs as a man (many citations from Boccaccio). One curmudgeon finds a way on each day of the game/discussion to berate women, but the others rally to prove him wrong. The range of opinions about how a woman should conduct herself, and men’s role in relation to her are interesting. They suggest that one can’t present a simplistic historical view of women’s place during this period. The last part of this edition briefly debates the best form of government and then gives one participant the floor for an extensive speech on the most fundamental quality of a courtier: the responsibility to advise his prince honestly. The courtier must gently influence his liege in order to keep the monarch from self-indulgence, arrogance and misrule, all errors that flow from the conniving flattery of other courtiers. The listeners retort that this role would require a courtier too old and experienced to carry out the other courtier duties of dandy, soldier and lover, lest he subject himself to ridicule. The last speaker says that no, he could fulfill the role of lover of beauty, because true beauty is a thing in itself, a gift of God, and is not inherent in the thing that exhibits it. So a mature courtier could admire a beautiful lady without having to possess her, in fact that would be the truest expression of sublime love. 1. The courtier must be physically and emotionally fit. 2. He must be educated in art, music, war, and dancing. 3. The courtier must be sincere in everything he says and does. 4. He must know how to dress on certain occasions. Javitch has been studying the Courtier for decades, and the more he does, the less he see reason to compare it to the "hard-nosed assessment of political realities that Machiavelli provided in the Prince." This is because, although the two were written in a very similar political climate in Italy, Machiavelli concerned himself with the harsh political realities of the ways affairs were actually conducted, while Baldasar Castiglione's work was more of a prescriptive guidebook for courtly behavior. I have recently likened it in a paper to a Castilian work written about two decades earlier: Fernando del Pulgar's Claros varones de Castilla. What a beautiful introduction written by Surrey Sutton! "In the words of Castiglione’s English biographer: ‘The noble brow and broad forehead, the fine eyes, with their clear intense blue and vivid brightness, give the impression of intellectual power and refinement, tinged with a shade of habitual melancholy. All the spiritual charm and distinction of Castiglione’s nature, all the truth and loyalty of his character, are reflected in this incomparable work, which is a living example of the ideal What a beautiful introduction written by Surrey Sutton! "In the words of Castiglione’s English biographer: ‘The noble brow and broad forehead, the fine eyes, with their clear intense blue and vivid brightness, give the impression of intellectual power and refinement, tinged with a shade of habitual melancholy. 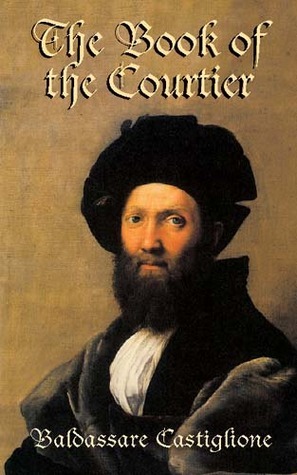 All the spiritual charm and distinction of Castiglione’s nature, all the truth and loyalty of his character, are reflected in this incomparable work, which is a living example of the ideal gentleman and perfect courtier.’"
A book to read to learn about the Renaissance and how they thought. It features conversation among courtiers discussing what the ideal courtier should be like. How, ideally, he should be noble birth; others dispute that many marvelous courtiers have risen from humble stations, but the original speaker maintains that since they are of course discussing the ideal, noble birth will help him in many respects. What he should study. Eloquence and avoiding affectation. What the ideal lady should be like A book to read to learn about the Renaissance and how they thought. If anything ever deserved to be judged by the standards of its time, this is it. By the standards of its time, obviously it's adorable. Leer El cortesano ha sido una experiencia interesante y jugosa. Lo que he tenido estas semanas entre mis manos ha sido un documento auténtico del siglo XVI, un libro entretenido que permite hacerse a la idea de la mentalidad imperante en el momento. Destacan las referencias a Platón y Aristóteles por todas partes y el debate sobre las mujeres, especialmente curioso y provechoso. Asimismo, agradezco mucho poder leer la traducción de Boscán, que ayuda a ambientar la lectura. Cito a Ángel Crespo: P Leer El cortesano ha sido una experiencia interesante y jugosa. Lo que he tenido estas semanas entre mis manos ha sido un documento auténtico del siglo XVI, un libro entretenido que permite hacerse a la idea de la mentalidad imperante en el momento. Destacan las referencias a Platón y Aristóteles por todas partes y el debate sobre las mujeres, especialmente curioso y provechoso. Asimismo, agradezco mucho poder leer la traducción de Boscán, que ayuda a ambientar la lectura. This book is surprising and entirely charming. Similar to Machiavelli's The Prince, the characters in The Book of the Courtier discuss, in the form of Platonic dialogue, the ideal member of a court. It's intelligent, funny, and even beautiful at times. Certainly an odd book, but I found it compelling and absorbing. However, it will probably be of little to no interest to anyone not interested in the time period, but if the Italian Renaissance floats your boat (as it does mine, clearly) this is ab This book is surprising and entirely charming. Similar to Machiavelli's The Prince, the characters in The Book of the Courtier discuss, in the form of Platonic dialogue, the ideal member of a court. It's intelligent, funny, and even beautiful at times. Certainly an odd book, but I found it compelling and absorbing. Book 3 was the best...interesting book! Also love the author's name! 3’5 entendido en su contexto. I got the idea to read this after reading Hilary Mantel's two novels featuring Thomas Cromwell -- Wolf Hall and Bring Up the Bodies. Castiglione is referenced as are Machiavelli and Masiglio of Padua as providing guidance to people at court in how they and their princes should behave. I had read Machiavelli and some sections of The Book of the Courtier, but Mantel's novels got me to revisit it to see how it guided her depiction of Cromwell. It is a worthwhile book but a bit difficult to access bo I got the idea to read this after reading Hilary Mantel's two novels featuring Thomas Cromwell -- Wolf Hall and Bring Up the Bodies. Castiglione is referenced as are Machiavelli and Masiglio of Padua as providing guidance to people at court in how they and their princes should behave. I had read Machiavelli and some sections of The Book of the Courtier, but Mantel's novels got me to revisit it to see how it guided her depiction of Cromwell. It is a worthwhile book but a bit difficult to access both because I am sure it was better in the Italian but also because it is embedded in a philosophical and cultural scene that is very foreign to modern life, unless you happen to be regularly guided by Aristotle, Plato, Aquinas, and other medieval and renaissance writers. The book is an effort at providing guidance at being a Courtier - a person at the court of a great prince. 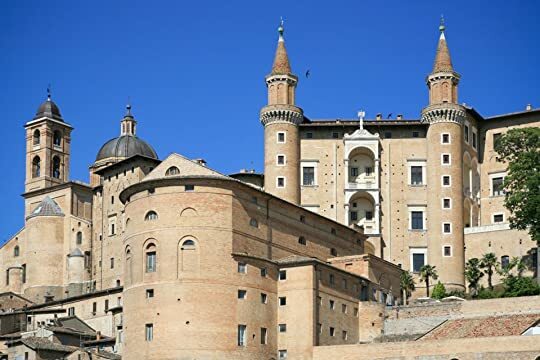 The setting is a series of discussions among great men of the Court at Urbino. If it were written today, it would be a group of CEOs discussing around the fireside at Davos. The discussion develops over four nights, each meriting a separate book. The topics are interesting and comparisons with "guidance" for professionals today come to mind a bit too easily for comfort. Courtiers should be well bred, beautiful, well spoken, skillful at combat and varied physical arts, well read, skilled at music, art, and dance. On top of all this they should be well spoken and great at telling tales. They should also be good with women. In all of this, however, the golden mean applies and the courtier should not be excessive in anything -- well rounded and governed by reason and temperance. While the Courtier should be skillful, that skill should not appear too extreme or the result of much concerted effort. Be good, but make it look easy and casual! Women are discussed as well, since they are woman at court (and the discussions are moderated by the female host). They are discussed in book 3, in which it appears that they have both their admirers and detractors. To modern readers, however, the place of women in this society for not seem like very much. The fourth book is odd and it originally seemed a bit out of place until you realize that it is not sufficient to just describe the qualities of the perfect courtier, but you also have to discuss what he is supposed to be doing - or his "final cause". The discussion moves to a view of the courtier as an advisor and teacher to his prince and the advisory function is fleshed out well. The chapter also has an extended discussion of love, both platonic and otherwise, and maturity that goes beyond what I expected. It's useful but it's way too archaic to keep the reader engaged. The structure of dialogues is reminisccent of The Decameron. But the conversation goes on forever and ever. Instead of being a monologue of Castiglione making explicit the things he expects of courtiers, of ladies of the court, and of the role of courtiers before princes, he makes his characters go on and on forever about it. Since the Duke is ill, they propose a game, which the Duchess will command, and in a number of nights they' It's useful but it's way too archaic to keep the reader engaged. The structure of dialogues is reminisccent of The Decameron. But the conversation goes on forever and ever. Instead of being a monologue of Castiglione making explicit the things he expects of courtiers, of ladies of the court, and of the role of courtiers before princes, he makes his characters go on and on forever about it. Since the Duke is ill, they propose a game, which the Duchess will command, and in a number of nights they'll discuss these qualities required. The book is full of typical Renaissance topics: casual anti-clericalism, humanist hope in the knowledge of man, appreciation for stoic philosophy, trivial observations about women, disscussions about the nature of women (whether they're bad or good), a justification of adultery in cases of unfair marriage (only for women). Baldassar Castiglione's is best read as a companion piece to Niccole Machiavelli's Prince which appeared 10 years earlier. In the Book of the Courtisan Castiglionne explains that the art of being a successful advisor to a political leader is a skill that must be learned and the correct methods be always be applied. Castiglionne in other words offers the corollary to Machiavelli whose great argument is that successful political leaders are those who have taken the time to learn the skills required Baldassar Castiglione's is best read as a companion piece to Niccole Machiavelli's Prince which appeared 10 years earlier. In the Book of the Courtisan Castiglionne explains that the art of being a successful advisor to a political leader is a skill that must be learned and the correct methods be always be applied. Castiglionne in other words offers the corollary to Machiavelli whose great argument is that successful political leaders are those who have taken the time to learn the skills required of the leader and are able to consistently apply them. Castiglionne does not write with quite the same brilliance as Machiavelli nor do his conclusions apply outside his own era as often as do those of Machiavelli. However, reading Castiglionne is vital to understanding the culture at Royal Courts during the renaissance. Although, Castiglionne was an Italian his book was quickly translated into French and English. It instantly become required reading for courtiers in both of these North European countries. An important, very educating read about one of the most important periods in the history of the English literature, culture, and development. This is THE book on how to be courtier, for courtiers of a period in which the idea of the courtier is already past. Or in other words - a How To for aristocrats and courtier-wannabes. If you want to be counted as something, back then, you had to read this book, follow it, live by its code, and appreciate it. Although, this book, was written about a period An important, very educating read about one of the most important periods in the history of the English literature, culture, and development. This is THE book on how to be courtier, for courtiers of a period in which the idea of the courtier is already past. Or in other words - a How To for aristocrats and courtier-wannabes. If you want to be counted as something, back then, you had to read this book, follow it, live by its code, and appreciate it. Although, this book, was written about a period of time earlier than the period in which it was written. The ideas of this book was already a cliche in the making, which, in itself, is already an interesting cultural aspect. This wasn't an easy read, I admit. It wouldn't be considered as an interesting read, in the modern sense. Nonetheless, there are moments in this book which are enlightening, amusing, and very important in the understanding of gender relations, religion, culture, and of course literature. The Italian answer/precursor to Machiavelli's The Prince. Four nights of dialogue amongst a coterie of early 16th century Italian nobles and courtiers forms the strcuture of this debate over the characteristics and virtues of the "Ideal Courtier." sprezzatura is the italian word for "ease" or rather, "effortlessness" - the quality required of any would be successful courtier. Dancing, fighting, badinage, sport; these activities must be accomplished with seeming effortlessness, with an internaliz The Italian answer/precursor to Machiavelli's The Prince. Four nights of dialogue amongst a coterie of early 16th century Italian nobles and courtiers forms the strcuture of this debate over the characteristics and virtues of the "Ideal Courtier." sprezzatura is the italian word for "ease" or rather, "effortlessness" - the quality required of any would be successful courtier. Dancing, fighting, badinage, sport; these activities must be accomplished with seeming effortlessness, with an internalized grace that effaces the labor required to master the art. Castiglione's courtier exists in a world of unattainable perfection up there with Aristotle's Philosopher-King. I don't get why anyone would dislike this. Well, okay, maybe why terrible people would. I was actually surprised when I was reading this, of how deep Castiglione was. His metaphor for aging and changing perceptions was insanely on point in my opinion. I was also surprised by his apparent proto-feminist outlook, in that there is a clear emphasis on the "right" characters believing in women's innate equality with men. Gaspar is shown to be closed-off and extremely prejudiced on the subject, and hi I don't get why anyone would dislike this. Well, okay, maybe why terrible people would. I was actually surprised when I was reading this, of how deep Castiglione was. His metaphor for aging and changing perceptions was insanely on point in my opinion. I was also surprised by his apparent proto-feminist outlook, in that there is a clear emphasis on the "right" characters believing in women's innate equality with men. Gaspar is shown to be closed-off and extremely prejudiced on the subject, and his opinions are refuted by the more rational characters involved. Anyway, so for this period in history-and especially in Italy-I find Castiglione's viewpoint to be very informed and his ideas very progressive. This first came out in 1526, and for those of us who can't read it in the original, there are various translations. The style is the old rhetorical conversation, which takes place in an ideal court scene of a small polity in Renaissance Italy. It's a how-to for courtiers. Of course, it's not meant for just anybody. First of all, it's aimed at men, and second, Castiglione warns sternly, "I deem it necessary for him to be of noble birth." This is a book of manners, and as such, gained wide popularit This first came out in 1526, and for those of us who can't read it in the original, there are various translations. The style is the old rhetorical conversation, which takes place in an ideal court scene of a small polity in Renaissance Italy. For a book that’s only 189 pages long, it took a really, really long time to get through this one. Partly because it’s very dense, and partly because it was originally written in the early 1500’s, so much of the book drags in elegant language that tends to lose my twenty-first century attention span. It picked up in the middle where the dialogue gets heated, but it still took me close to two hours to get through twenty pages. In short, it’s not a book that lends itself well to casual reading. Ful For a book that’s only 189 pages long, it took a really, really long time to get through this one. Partly because it’s very dense, and partly because it was originally written in the early 1500’s, so much of the book drags in elegant language that tends to lose my twenty-first century attention span. It picked up in the middle where the dialogue gets heated, but it still took me close to two hours to get through twenty pages. In short, it’s not a book that lends itself well to casual reading. Fictionalised conversations by historic characters at the court of Urbino, Italy, 1507. The author his hiding behind these characters. Central focus on "grazia": amiable conduct, apparent carelessness, but with the purpose to flatter the lord. Interesting as an historic document, but rather dull to read. As an aspiring courtier myself, I found this guide gave me valuable lessons on my deportment. I hope to use all I have learned in it if (or when) I am chosen to work in the Danish court of King Claudius and Queen Gertrude of Denmark. If you want to learn a personal view of life during the Italian Renaissance, this book is for you. A primer for sycophants, Castiglione offers a guide to the intelligent, though for the most part unemployable, person with little talent. You could take a courtier and place him in Washington, DC or any other seat of power and he would not only fit in, but dominate. An urbane and searching discussion of many of the Great Ideas, all by way of presenting the qualities of the ideal courtier and the ideal lady-in-waiting. Castiglione was himself a courtier, and his book presents a series of discussions that take place over the course of 4 evenings in the chambers of the duchess of Urbino in 1507. Every evening the gentlemen and ladies of the court gather in the duchess's parlor to dance, sing, and play games. One evening the game is for the gentlemen to describ An urbane and searching discussion of many of the Great Ideas, all by way of presenting the qualities of the ideal courtier and the ideal lady-in-waiting. Castiglione was himself a courtier, and his book presents a series of discussions that take place over the course of 4 evenings in the chambers of the duchess of Urbino in 1507. Every evening the gentlemen and ladies of the court gather in the duchess's parlor to dance, sing, and play games. One evening the game is for the gentlemen to describe the perfect courtier. The group, mesmerized by the developing picture, insists that the game continue the next evening, and the next, and the next. The gentlemen all modestly profess to be inadequate to the task, but each makes an excellent account of himself, and the ideal courtier who emerges is a man who is valorous, educated, discreet, virtuous, wise, and, ultimately, a prime educator of his prince in the art of ruling. Castiglione's book was published, after many years of careful revision, in 1528, just four years before Machiavelli's The Prince, a work that is completely opposite in mood and tone. It is as though Machiavelli were writing to rebut Castiglione: where Castiglione accepts and champions the ancient liberal ideal of virtue as the path to happiness, Machiavelli sees virtue as only a mask to be worn by a prince, who must be ruthless and treacherous if he is to hold on to power--and if he can't hold on to power, then nothing else matters. So The Book of the Courtier is a counterbalance to The Prince. It is as though Castiglione is the little angel talking into the prince's right ear, while Machiavelli is the little devil talking into his left. Count Baldassarre (of) Castiglione was an Italian courtier, diplomat, soldier and a prominent Renaissance author.